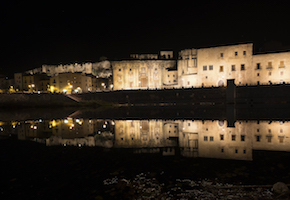 The most glorious period in Tortosa’s history took place in the 16th century. In that century, the city underwent a period of cultural and humanistic creativity and economic and social prosperity. 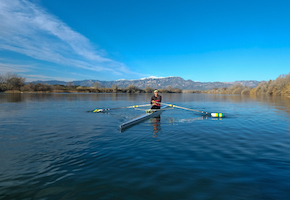 The city’s privileged geographical location and the Ebro Valley’s fertility, described by Cristòfor Despuig in Los Col·loquis de la insigne ciutat de Tortosa (“The Colloquia of the Distinguished City of Tortosa”), have been key to the city’s economy and wealth throughout history. 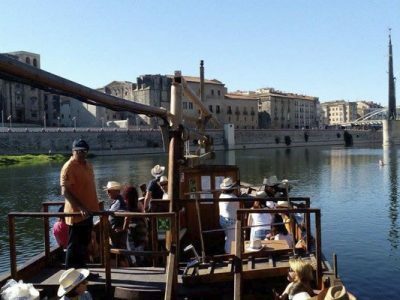 Tortosa became the most important cultural and artistic centre of Renaissance Catalonia in the 16th century. Even the Flemish landscape artist Anton van den Wyngaerde depicted Tortosa in a curious landscape painting of 1563. The Renaissance style was not popular in Catalonia and few examples exist there. 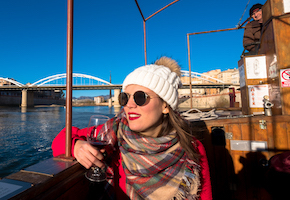 In Tortosa, however, the movement thrived. There are two major areas where this movement enjoyed success: literature, in the work of Cristòfor Despuig; and architecture, with the Royal Colleges, unique and enchanting examples of the Renaissance in Catalonia. 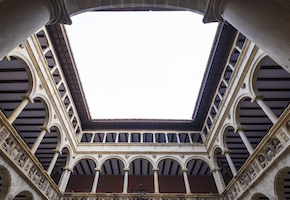 This tour starts at the architectural complex of the Royal Colleges, which constitutes the most important set of buildings of the Catalan Civil Renaissance. 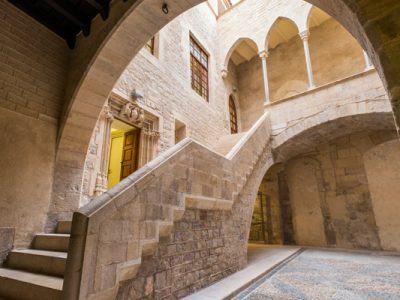 The architectural complex known as the Royal Colleges, founded by Charles V to educate the Moors, is made up of three buildings: the College of Sant Jaume and Sant Maties, the College of Sant Jordi and Sant Domènec and the Church of Sant Domènec. 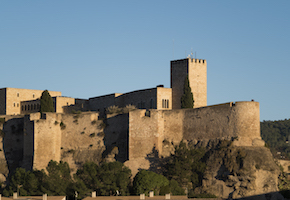 Sixteenth-century Tortosa was one of Catalonia’s most important cities. It had a school for educating Dominican theologians, whose fame led the public authorities to build an annex for the purposes of educating new Christians. 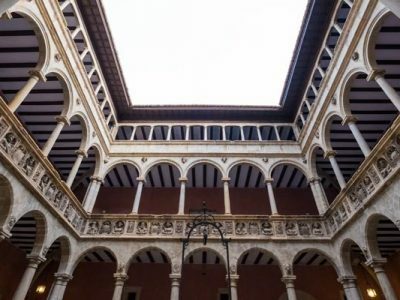 Both would become known as the Royal Colleges of Tortosa and give rise to future universities where students could obtain a doctoral degree in theology or an undergraduate degree in philosophy and art. The tour finishes with a wander up Carrer de la Croera for a look at the Episcopal Palace and Saint Mary’s Cathedral, where there are the choir stalls, built by Cristóbal de Salamanca with Navarra oak, brought down the river in rafts, the Sacred Heart chapel, and the old altarpiece, commissioned by Bishop Gaspar de Punter and designed as a sculptural grille. 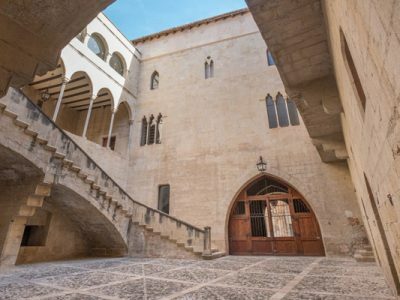 A few moments after entering the College of Sant Jaume and Sant Maties, we come to a cloister that tends to rouse strong emotions in visitors. 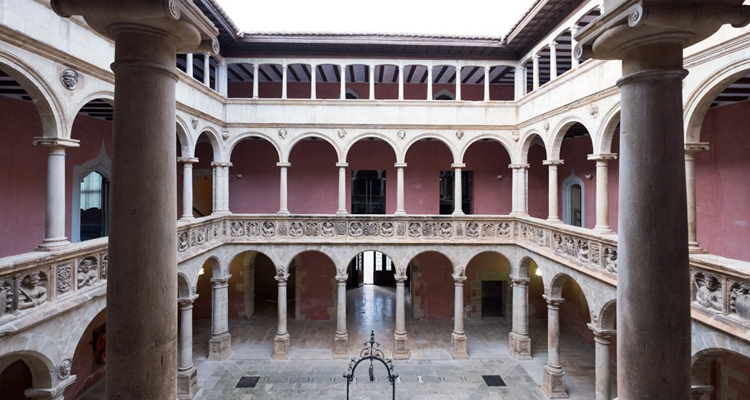 This courtyard is unique in Catalonia. 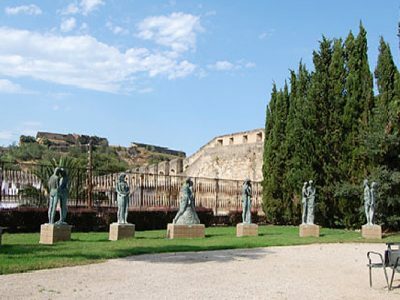 It features the busts of the kings of the Crown of Aragon, from Ramon Berenguer IV to Philip IV. It is possible to access the first floor to study every enchanting detail of this magnificent work of art. 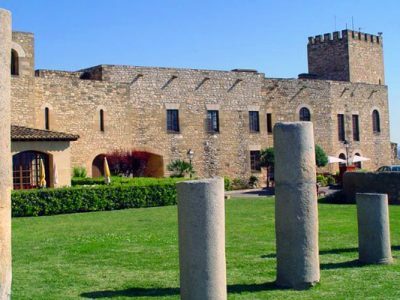 Today, it serves as the headquarters of the Baix Ebre County Archive. Next, we come to the College of Sant Jordi and Sant Domènec, now the headquarters of the Official School of Languages in Tortosa. 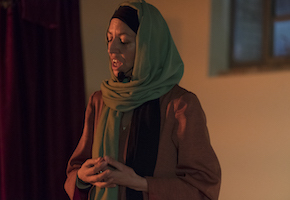 It was originally dedicated to the study of theology and, after the exclaustration of 1835, the convent was used as military barracks and suffered the effects of the Civil War. It is also noted for its courtyard. This was constructed after the above-mentioned buildings. It consists of a single nave without a transept, with side chapels located between the buttresses. It is particularly noted for its doorway, which is decorated with beautiful sculptures that were beheaded in the 19th century. The doorway is crowned by the episcopal weapons of the founder, Bishop Izquierdo. 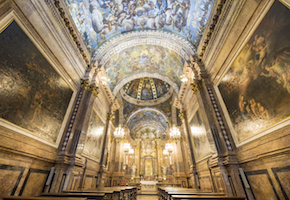 Inside the church, in front of the presbytery, lie the gravestones of Baltasar Sorió, reader of the cathedral, and Juan Izquierdo, bishop of Tortosa from 1574 to 1585, the main driving forces behind the foundation and construction of the Royal Colleges. Presiding over the central nave is the remarkable cupboard containing Tortosa’s old archive. 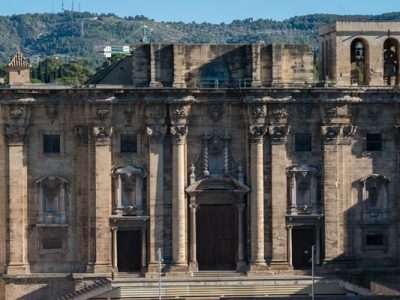 It is outstanding due to its symbolic value, which recalls the origins of the municipal archive, and for its interior decoration, with the coat of arms of Tortosa and the presence of the guardian angel, the city’s patron saint. 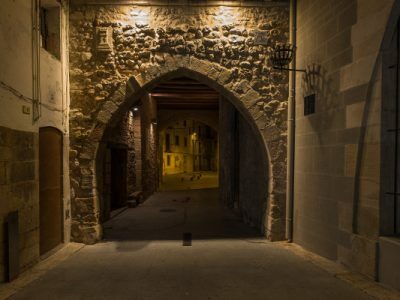 Built into the inner wall of the current exit onto Plaça del Mossèn Sol is the doorway to the old town hall study that was located in the building built on Carrer Ciutat in the 16th century and demolished in 1915. 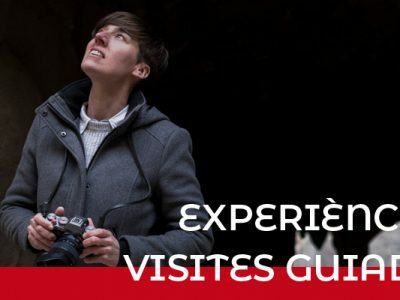 At present, the church serves as the Renaissance Interpretation Centre, which provides information continuously throughout the year about the Renaissance Festival and the historical and cultural heritage of the city and territory during this period. It is also a meeting and information point for visitors. We then go back down Carrer Sant Domènec until we come to Plaça dels Estudis. 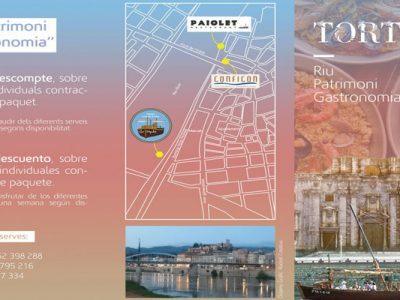 From there we take Carrer de la Mercè until we reach Plaça de la Cinta, where we’ll have the opportunity to view the remarkable Plaça de l’Absis at the cathedral and one of Tortosa’s quaintest and most intimate spots, the Romeu Gate, the start and finish of the Pilgrim’s Way of the Ebro. 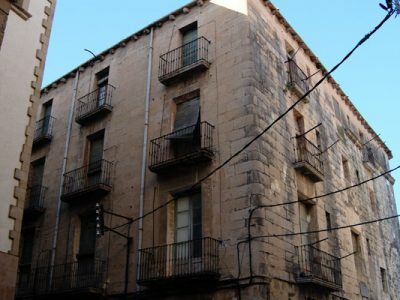 Then we can take Carrer de la Rosa, where we'll fins Palace Despuig, home of Cristòfor Despuig, writer of Los Col·loquis de la insigne ciutat de Tortosa, the most outstanding work of the period, both in Tortosa and in Catalonia. 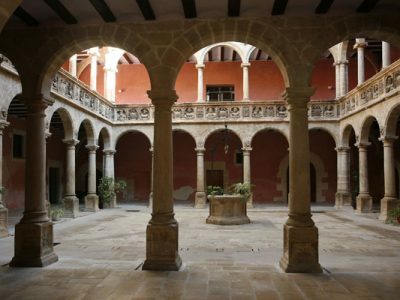 If we take Carrer de les Taules Velles and head towards the river, we shall come across one of Tortosa’s other Renaissance buildings, the Palace of The General Regional Council. 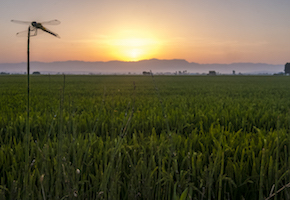 It faces the river and stands next to the site of the old Pont de Barques bridge, where taxes were collected for the goods being transported down the Ebro river. It is a stately building, since Tortosa was home to the first Catalan government palace built outside Barcelona. It was built at the end of the 16th century with stone from Flix, like so many other important buildings in Tortosa. Later on, the Corbera-born bacteriologist Dr. Jaume Ferran i Clua had his laboratory here.